In 207, Darby Photos’ depicts schools that have been the sites of mass shootings. 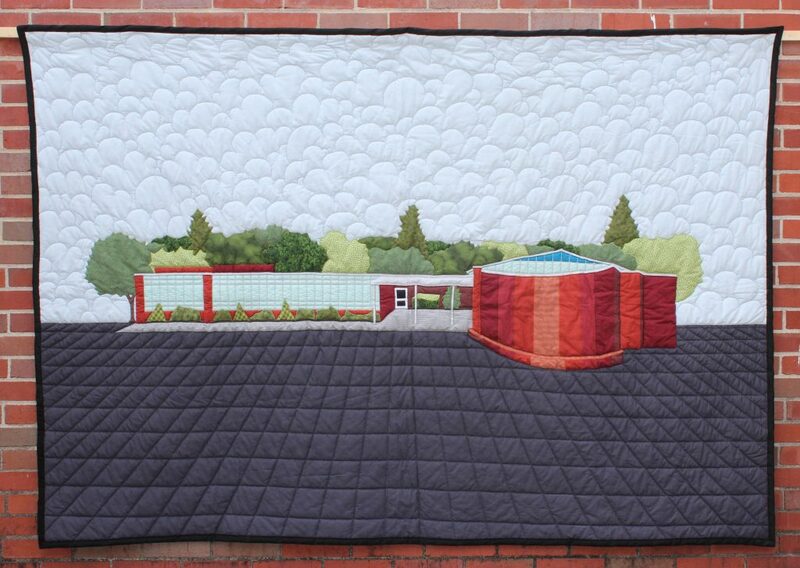 The quilts these schools are depicted in represent safe spaces that have become scenes of horror and destruction. Buildings such as Sandy Hook, Columbine, Virginia Tech and Marjory Stoneman Douglas, as well as lesser, discussed schools like Red Lake High School in Michigan and West Nickel Mines school in Pennsylvania became physical manifestations of our society’s willingness to sacrifice our children to gun culture. The quilts confront the audience with the new banality of mass murder.